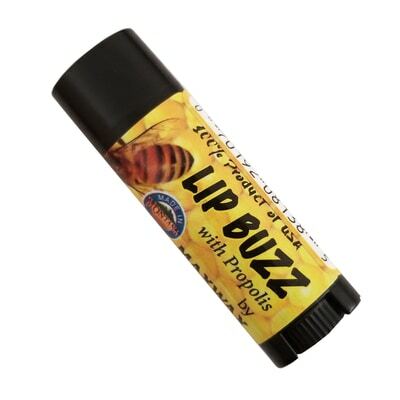 I am excited to introduce you to LIP BUZZ! My name is Lis Maxwell. I originate from Billings, MT and graduated from MSU Bozeman and MSU Northern with a master's degree in education. After teaching for over 25 years, I now farm and ranch full-time with my husband in Big Sandy, MT. Several years ago we began housing beehives for Treasure State Honey around our farm ground. This introduced us to Jim Savoy and his award winning Treasure State Honey. It has also produced some excellent quality beeswax as a by-product from the hives each year. I took some of the wax and began creating lip balms that met criteria I personally was looking for in a lip balm product. Specifically, I wanted to combine premium beeswax with the highest quality organic and natural ingredients into a formula that glides on smoothly, smells great and most of all WORKS to soothe, repair and hydrate chapped lips as well as prevent them from drying out AND provides a natural sun protection. I eventually added Propolis (a compound made by bees in the hive) to the formula. Propolis is commonly used for its healing, antiseptic and restorative capabilities. It assists in balancing, healing and soothing problematic skin as well as accelerating the rate of cell growth. Propolis protects against bacteria and functions as a great anti-inflammatory agent. Studies have shown this has anti-cancer properties and is full of antioxidants. We are excited to introduce this new, high quality lip balm to the market and are eager to share it with consumers.